EU Prophecy News: Little Horn: The High Representative? This is my third blog post this week. A forth one shall be forthcoming. Upon reflection, these posts are somewhat related. 2) EU's "Big Three" Alive and Well - This is about the former 10 nation Western European Union and three countries who were in it. Horns in Daniel: Offices or Persons? Allow me a thought experiment. Imagine if all these prophecies we have been following, that we took the liberty to interpret them "corporately" instead of individually. (Bear with me for a bit, I'm not saying we should do that completely. But bear with me). There was a ten nation alliance that did military missions from time to time. Then, another weaker politician (who wasn't one of the ten) rose up among them and had to compete with three of them for influence. Over time, the high representative became more powerful, and ultimately made a seven year agreement with Israel, that recurred every seven years. Then later on, the ten kings ceded some of their sovereignty to a larger empire (the EU) in the treaty of Lisbon, giving away some of their royal power and authority. Because this same treaty had a mutual assistance clause, they dissolved the ten nation alliance because it had achieved its historical purpose. With this same treaty of Lisbon, the high representative accrued even more power. But alas, the seven year covenant was weak. The EU government explored options to strengthen the weak seven year treaty. And those three nations still fought the high representative for influence. This ENP theory doesn't sound so awful after all, if we look at it "corporately," focusing on the offices and positions, and shying away from looking at the "individual players." The "story" I tell above seems that it could easily have an ending that fits prophecy. There is only one other prophecy like Daniel 7 and the ten horns. It is in Daniel 8. Instead of a beast with ten horns, its a goat with 4 horns. This goat starts off with one big horn (Alexander the Great) but this is suddenly broken off, replaced by four horns. This is because Alexander's four generals replaced him after his death. The Bible states that the four horns represent four kingdoms that come after the first king. This is also why Daniel 7 portrays the 3rd empire (Greek Empire) as having four heads. One of the four horns has a "little horn" that comes up off of one of the four original horns. This horn ends up being very powerful, but being defeated without human agency. Historians seem to agree that Daniel 8 and the little horn is mostly about Antiochus IV Epiphanes. He did the first abomination of desolation, putting an idol of Zeus on the altar. He terrorized and brutally murdered the Jews after a war with Egypt (very similar to what the Antichrist will do). He also thought he was "God manifest." Furthermore, when Daniel 11 talks about Antiochus, it suddenly transitions to the Antichrist and end times, it talks almost as if they are the same person.There are a great many similarities between the two. Antiochus IV Epiphanes certainly foreshadows the end time Antichrist. In Daniel, horns almost always denote kings. This is the case with the ram with two horns (kings of Media and Persia), the huge horn on the goat (Alexander the Great), as well as the ten horns of the beast in Daniel 7. Furthermore, the "little horn" in both Daniel 8 and Daniel 7 both represent two different kings. The only time the horns are not explicitly called kings is in Daniel 8, with the four horns that replace the big horn that gets broken off (Alexander). These four horns correspond to four kingdoms that didn't have the same power as the first horn. Historically, Alexander's empire was divided up to his four generals, because of his untimely death. Each of the four kingdoms remained, some of which had dynasties and several kings each. But the little horn comes off of one of the bigger four horns. This is Antiochus IV Epiphanes. Historically, there were many kings that preceded Antiochus IV, and technically he was part of one of the four horns. But he murdered his brother and took the throne instead. (Bible Knowledge Commentary, Zuck/Walvoord) Perhaps this is why he is a little horn that is an offshoot of the bigger horns. He was from the same "dynasty," but not quite, since he killed his brother who was the original heir. If we accept WEU/ENP theory, then the ten kings aren't really ten individual politicians. They are more appropriately "offices" (i.e. President of France, Prime minister of Britain, etc.) The WEU was in its 10 nation configuration for over 15 years. Each country has had many different leaders during that time. Off the top of my head, the UK has had Tony Blair, Gordon Brown, and David Cameron. France has had Nicholas Sarkozy and Francois Hollande, just to name a couple. And so have them all, because I can't imagine any of them served a fifteen year term. I admit that the most powerful piece of evidence for the "office" view seems lacking. 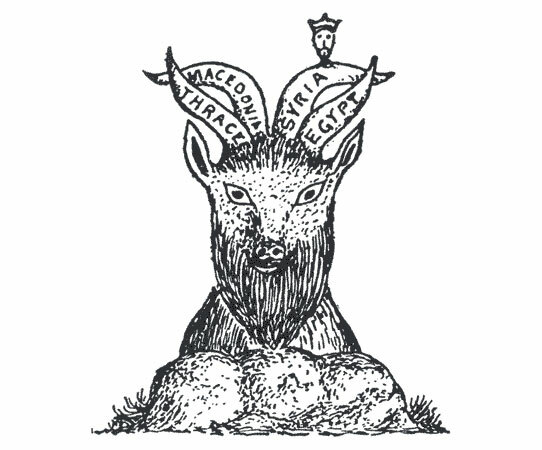 The four horns of the goat, if they had been called "kings" would be decisive evidence that the horns can appropriately be viewed as "offices" as opposed to specific individuals. But alas, at this point my theory faulters, as the text refers to them as "kingdoms." This justifies the long dynasties we see. But historically, Alexander (the big horn) was replaced by his four generals, who split it up into separate kingdoms. The ten horns are different, in that they are all part of the same kingdom (at least in its final form). But alas, every king has a kingdom. So its not unfair to say that the kings themselves have kingdoms. But even Antiochus did not come immediately out of the fourth horn. It was a long time before he rose up and took the throne. Many kings preceded him. So perhaps the Daniel 7 little horn has also has a line of kings that could potentially lead up to the "final" one (i.e. the Antichrist). If the ten kings are "offices" then perhaps the "little horn" could be an office too...or at least start out that way. There is evidence, that the little horn IS a person, in contrast to the others. The text specifically says this horn has eyes of a man and a mouth that speaks boastfully. The other horns are not personified in such a manner. So the Antichrist is not just "whoever the high representative is that day." The Antichrist is a specific person. But is it unfair to say that the "little horn" is an office too? Just like the other ten kings? Could it be that, just like the other ten horns, a series of people occupied that office? Of course, the last person to hold that office would be the Antichrist. But is it fair to say that just like the other ten, the little horn is an "office" that refers to the "High Representative?" Thoughts? Does this idea stretch the Scripture? Part of me feels it does. Part of me feels its theologically justifiable. (Feel free to comment). The fact that I pulled an image from a website does not at all imply that I endorse the contents of said website. The Little Horn are "Both" an Office, and a man. As is the 1st Beast in the Book of Revelation 13 - who rises from the Sea is this same man and Final Kingdom. He is further the same person being mentioned as the 2nd Beast who is from the Earth. It is Man (Antichrist) and his Kingdom (Satanic). This is one man ruling the Final "Earthly" Kingdom. There is no "False Prophet" and the defunct WEU has fit what has been described in Revelation 17:11-12. When we who are "Watching" can finally at least consider that the ENP Theory may have some real concrete validity - then perhaps the great research in which you are doing here on your site can become a part of a bigger and more common goal. And that is to edify the Body of Christ. Keep up the Good Work that you are doing! Thanks for your reply Anonymous. I think I know who you are from unsealed (but since you have chosen to post anonymously here, I will not say your name). But great to see you here and thanks for your reply! I appreciate your kind words. Though I am still struggling myself with this theory (though i do believe it is the best theory available and I still embrace it). Theoretical "elegance" is very important as far as truth is concerned. "JS/ENP" theory had the most elegance, simplicity and lack of straining. Furthermore, disprovability is an important aspect of any theory, and I suppose this ENP theory has it, but not as strongly as it used to. So that is why I fear my theory strains it a bit, even though I am invested in it as the most likely approach. Indeed, I almost “believe” it. But I’d hate to believe in a bad theory…. I agree that the "beast” can refer to a kingdom, or to a man, interchangeably, especially in Revelation. Even though Revelation 17 is confusing and ambiguous, one thing is clear. The “beast” is clearly referred to in a “corporate” sense at times, as well as taking on an individual role (Revelation 13). So I think interpreting Revelation 17:11-18:1 can in all fairness, be interpreted corporately. I do find it weird that, on this ENP model, the subduing of three kings has to occur after the power consolidation event in Revelation 17. It would seem that the subduing of three kings would be a prerequisite to that. Additionally, I do feel discomfort or “straining” to say that the high representative is the little horn, when the Antichrist hasn’t even come yet. The little horn arises among the ten. Granted, by that point, the ten horns are part of the beast. But if the antichrist hasn’t even come yet, then the little horn did not rise up among a group of ten, unless we view the high representative as a partial fulfillment of the little horn. The recurrence of seven year treaties is of no consequence, despite it’s being frustrating. The Bible talks about a “strong covenant” or confirming a covenant. I looked up the meaning of the hebrew word “gabar” and in it’s “hiphil” (perfect) tense, refers to confirming or giving strength to a covenant. Scholars seem to waffle on whether or not it is the confirmation of an existing covenant or making a new strong covenant. But alas, the ENP program is weak and in shambles. That’s why someone has to come along and enforce or strengthen it. (Which they have tried to do many times). Though we wouldn’t have expected multiple seven year covenants from the Scriptures, it is not against reason to think it would turn out this way. So this seems to line up with the prophecy just fine as a future event, especially considering one way to interpret it is as the confirmation of an existing agreement (i.e. one of the future one's). Furthermore, ENP cycles seem to answer the question “Why would anyone make a treaty for just 7 years?” The answer lies in the fact that the framework is cyclical, and repeats in some way. (Let us remember that Stalin had successive five year plans in Russia.) So this normal human behavior by governments to make cyclical plans (budgets/plans every so many years) is how the final seven year covenant will emerge. It should not surprise us, since the confirming of the 7 year covenant is by no means a supernatural event, that it should emerge from the normal course of governmental behaviors. So I do find some discomfort, though I accept the theory. Hopefully, all these things will make sense soon. Let me begin by saying that I find absolutely no discomfort in the ENP theory whatsoever - in that what is going on with it (from it's inception to it's current state) has appeared to be the absolute best 7 year "Covenant with Many" that has ever been put forth. In that it contains many of the "road signs" that you have mentioned. Now, I want to comment on your mentioning the "discomfort" that you have in mentioning that the High Representative is the "little horn" when he hasn't even come yet. Not that I'm attempting to change your mind, but you "may" have overlooked a most important element. The element that you "may" have missed can be found in 2 Thessalonians 2:6 - in that the coming Antichrist is being "restrained" and he can only be "revealed in the proper time." This does not negate the fact that the "seat" which was created as a result of the ENP being enacted can not exist prior to the coming man of sin being revealed. As a matter of fact, I believe that the "position" or "seat" has to exist prior to his revelation - Of course you know that I am taking about the High Representative of the EU. Javier Solana stepped down for a reason. Things were not together as he had hoped - especially with the enactment of the Lisbon Treaty. He literally attempted to give himself powers as he held the position of High Representative - however it was not his "time"; but it soon may be. In closing....the ENP is something that I believe that any serious student of bible prophecy should never let go. It often amazes me how many of those who will abandon the "hard evidence" that this "Covenant with Many" has shown, because it did not fit into their own little box, or way of thinking - yet it just simply will not go away. I personally believe that the initial "road signs" identified at least the "Position" in which the coming Antichrist will emerge from. Even Adolf Hitler learned a lesson prior to finally taking over Germany - and that is the seat he desired had to be obtained through proper Politics. So I guess before anyone (to include myself) should seek to find any 'discomfort' in this incredible theory - we should do our homework as you have done, and continue to discover the evidence (no matter how slight) that I personally believe God has continued to supply. Part 1: Good to hear from you again Anonymous. I appreciate you sharing your insights with me. Before I address your other comments, I must share a related but interesting tidbit. It is interesting that today, the EU high representative literally advocated that the EU become a "major superpower" in the area of foreign policy, security and defence. Even for an EU politician, this is rather bold, since they continue to try to maintain the fantasy that the EU is not itching to become a federation or completely “sovereign” over the nation states within it. Now, they feel such political safety as to advocate that the EU literally become a military superpower. They no longer walk a political tight rope to keep the British (or the Germans for that matter) happy. What else could the references to a “new security strategy” mean? Working together for security inside and outside the EU’s borders? Becoming a “humble” but yet “major superpower,” specifically in the area of security? Said by such a graceful, idealistic, passionate, young Italian woman! Little does she know who she prepares the way for. She may want to save the world. But she is rolling out the red carpet for the worst monster the world has ever seen, who wants to destroy the world. But I digress. You are right this ENP theory will not go away. And I agree that the man of lawlessness will not be revealed for the menace he truly is until the abomination of desolation. You are right the road signs are present. It is disappointing how many major prophecy teachers treat this theory with an utter lack of seriousness. I am getting increasingly confident that the EU/ENP paradigm is “it.” I almost “believe” it (though perhaps it is imprudent for me to go so far as to “believe” a prophecy theory). But humor me as I think out loud as I play "devil's advocate" so to speak. I certainly want this theory to align with Scripture, and also be convincing to those who have never heard of it before. We know that when prophecy truly does happen, not one letter of Scripture will be inaccurate. (Certainly, our interpretations could be, but still). But of course, we want to maintain good and honest and reasonable interpretation. Because, as the thinking goes, we won’t need any interpretive “stretching” for the real thing. The words of God will be vindicated, even as he speaks in plain language. But I completely agree with you that prophecy need not, and shall not, fit interpretive boxes. But I do think what traditional prophecy teachers teach is a good “check” on our own interpretations. How do we know we aren’t forcing it? By pulling out commentary, theology book, and book after book, that talks about a Roman ten nation confederacy, the little horn, subduing three, and a 7 year covenant with Israel. This is a good way to know we haven’t gone off the deep end and forced the interpretation. Even the early church “more or less” agrees with these “new,” generally dispensationalist, teachers. So it is true, we have a good many pieces that fit together. 2) Ten nation WEU give power to the end times Roman empire by having a “common purpose” (i.e. common policy). 3) A political position that rose up while the WEU was in existence, and continues to amass more power to itself, even as it remains weak. Like a little horn that gets bigger and bigger. 4)Three political opponents of this “common purpose” the EU big three, who, according to mainstream EU analysts, still “hijack” foreign policy in the EU, and prevent the common security and defence policy from becoming a reality. 5)The Eu establishing its relationship to Israel and many other nations via a 7 year financial framework that repeats every so often, and covers the territory historically covered in the Roman empire. 6)At the expense of literary variety, politicians keep harping on “peace and security” especially as it relates to Israel. 7)It is very easy to see how the whole world could come against Israel and divide the city of Jerusalem, since the people who live in the eastern half are widely considered “illegal settlers” under international law…..just for living there. But alas, we lack a couple necessary, but very important pieces. Again, I accept ENP theory, I am just thinking out loud. Maybe you can shed some insight into this. 1) A rebuilt temple. Could be built in one of the future ENP covenants. But still don’t have this (politically, very challenging!) piece of the puzzle yet. 2)A powerful, ruthless, and boastful man in the high representative seat who actually successfully subdues the EU3 and reinforces the ENP for seven years. Instead, we have an big-hearted, passionately idealistic, and politically weak woman (though not as politically weak as before). This isn’t really a fault to the theory. It’s just proof we have to wait a little while longer. 3) A small amount of awkwardness with having multiple seven year covenants (though not very much, especially if we view these as merely the framework for the final one). 4) No one really expected the WEU to consolidate and totally disband. Herb Peters, whenever there were rumors of the WEU’s death, seemed to maintain it wouldn’t go away. Granted, the current situation seems to partially fulfill Scripture (which is what counts). But it runs the risk of making our theory unfalsifiable (i.e. non-disprovable in principle).. The risk is, no matter what they say or what happens, we are still right and cannot be proven wrong, because we have allegedly constructed the theory in such a way that it is permanently safe from being disproven. 5) And (in my opinion) a larger amount of theological awkwardness as it regards to Daniel 7, with the little horn that comes up among the ten. The most natural and straightforward reading of the passage would seem to indicate the “little horn” who comes up among them is the Antichrist himself. Our view (as it would seem) seems to unnecessarily strain the text and tweak it to say that the little horn is the “high representative,” allowing others to hold office before him, without being the Antichrist themselves.This moderately strains it, since the most natural reading says the little horn is simply the Antichrist himself. But it doesn’t extremely strain it I don’t think. Since the other ten kings are perfectly acceptable to be offices, when speaking of the last king, it might be acceptable to do the same. Obviously, the Antichrist will rise to some kind of political position. But perhaps it is more straining to say the little horn is a position. But perhaps not terribly so. I don’t really consider points 1-3 to be things that disprove the theory. They just show the situation hasn’t progressed to “full blown end times Antichrist this very second.” They don’t disprove the theory at all. They just show the situation has yet to mature. However, I do struggle with points 4-5…. The WEU is OK theologically, but from a theory standpoint is risky. Point 5 is my biggest concern I guess. I think it might be "OK" from an interpretive standpoint, but I'm most doubtful in this area. But I am becoming more and more convinced by the day. It’s refreshing almost. I remember how exciting the “first” ENP was. And I feel liberated to feel some of that excitement, even now. Sorry my reply is so unnecessarily long. I grow more and more confident in ENP theory by the day as of late. It’s just there’s some “kinks” that might need worked out, I’m not sure. Thanks again for your reply. I appreciate you sharing your insights with me. What are your thoughts? The WEU - which is now gone, again, is totally responsible for creating the Position of High Representative. Although the WEU is gone - the Position of High Representative is NOT. Therefore, it would not be a "stretch" or the event of "tweaking" this particular creation of a Position to fit prophecy - again, we must ask ourselves WHY? Why was this Position created, then the entity which created it is no longer in existence? Well, I believe it was done this way to fulfill what has been declared to happen - in other words Prophecy must be Fulfilled. I believe that the rise of the coming Antichrist and his Kingdom are synonymous in that they will be working in harmony in order to fulfill Prophecy. 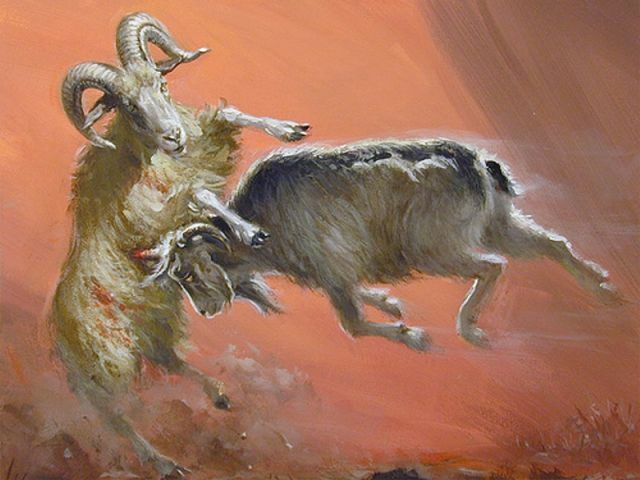 Whether or not it is an Office or Position makes no difference - as when he comes to power, it will be behind the working of Satan, who will use both Politics and a Man to carryout his End Time desires prior to being cast into the Lake of Fire. So we must be careful not to pigeon hole this area of prophecy, and/or limit it to what many may deem as "common understanding" or hold a "most natural reading" type understanding as it relates to Prophecy. There is no "natural reading" or "common understanding" when Prophecy is concerned - if this were so everyone would understand it, and there would be no intellectual debates or mystery about it. Now in closing..... I can also see that it further concerns you that if the High Representative's seat was created for the coming Antichrist - then those who have held this position before him would make this sort of thinking a "disqualifier". Well, if I have discerned your concern correctly - then I would have to totally and respectfully disagree. I mention this because Scripture does not make it an absolute necessity that after the 10 horns have been established - then immediately the little horn has to rise. It does not state this. "24) As for the ten horns, out of this kingdom ten kings will arise; and another will arise after them, and he will be different from the previous ones and will subdue three kings." Okay, as you can plainly see - the aforementioned passage of Scripture state that out of the 10 horn 10 king kingdom - which is established is before the one who will arise AFTER them; or the "little horn". There are absolutely no prerequisites that would indicate that others will not have held this same seat/position before he actually comes into power. I believe that many have made this mistake in thinking this way. Actually, as you have so eloquently alluded to, perhaps it is the previous High Representative's who will actually pave the way for his entry. Now, as far as what you have mentioned about a rebuilt Temple - well, personally, I don't believe that it will be necessary - and honestly, I believe that the Prophetic Jury is still out on this issue. As for me, I will still continue to follow the "road signs" - that have totally and unequivocally led me to believe that the ENP Theory is ALIVE & WELL. Ok...the first half of my comments did not post for some reason? thanks for your great reply. However, my apologies on the comments issue. It seems there is some kind of character limit on the comments. I will go into the settings to see if this is possible to change. I am very sorry if it deleted the first half of your comment. I will try to see if I can correct this (if blogger allows) so that I can reply to both your first and second parts of your comments. I'm very sorry. To follow up on my last comment, it looks like the text limit is not something I can change. I'm sorry it didn't post the first half of your comment. But I'd be interested in hearing what you had to say in the first half. God told Daniel to lock this up until the end. Maybe this was easy, but God just chose not to reveal it until now. Recently the Holy Spirit opened my eyes to what should have been an easy riddle to solve. Daniel 7 and 8 are the same Little Horn/Anti-Christ. One comes out of the Fourth Beast/ Revived Roman Empire/E.U. The other arises out of one of the Four Generals Kingdom, in the LATTER TIME, understanding DARK sentences etc. all. This can only be the Anti-Christ, this other fellow everyone speaks of was no in the LATTER TIMES. Why didn't we see it ? It wasn't time !! Greece (Cassander's Kingdom ) is in the European Union !! So a Greek arises and also comes to power in the E.U. We now have a young Greek Atheist, whose family has roots in Turkey (Old Assyria). JUST SAYING.......WATCH.